Silicone-free and solvent-free release agent for demouldings up to 180°C. Silikonfreies Trockentrennmittel auf Stearatbasis welches speziell für PC, PMMA, ABS entwickelt wurde. Ermöglicht spannungsrissfreie Entformungsvorgänge. 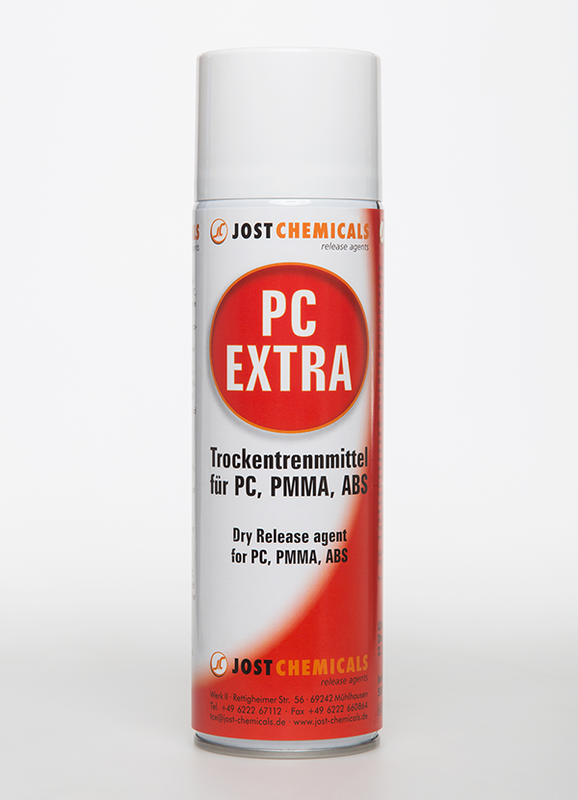 Silicone-free dry release agent suitable for demolding of PC, PMMA, ABS. With PC-EXTRA a demolding without stress-crack is possible. Silikonhaltiges, dünnfilmbildendes Trennmittel für Verarbeitungstemperaturen bis +240°C. 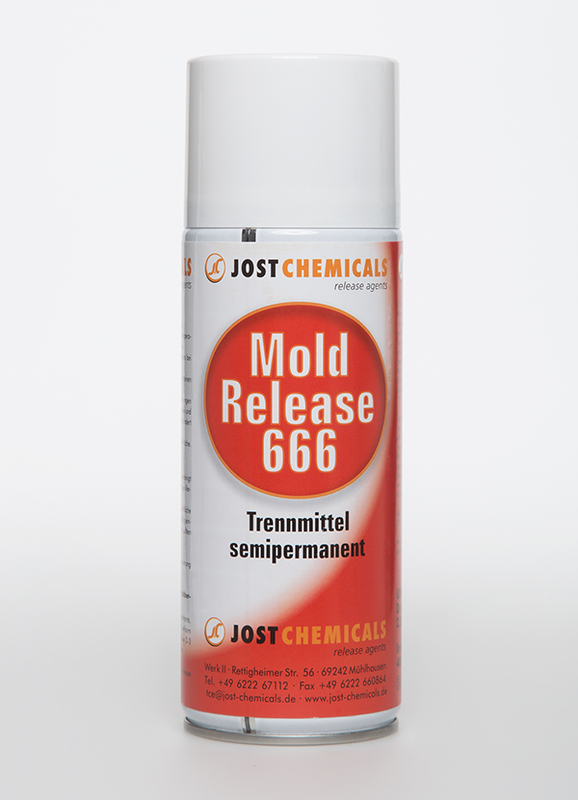 Release agent with silicone. Builds a very thin release layer on the mould. Temperature stable up to 240°C. Semi-permanent universal-release agent for rubber. Suitable also for very “tacky” rubber-mixtures. 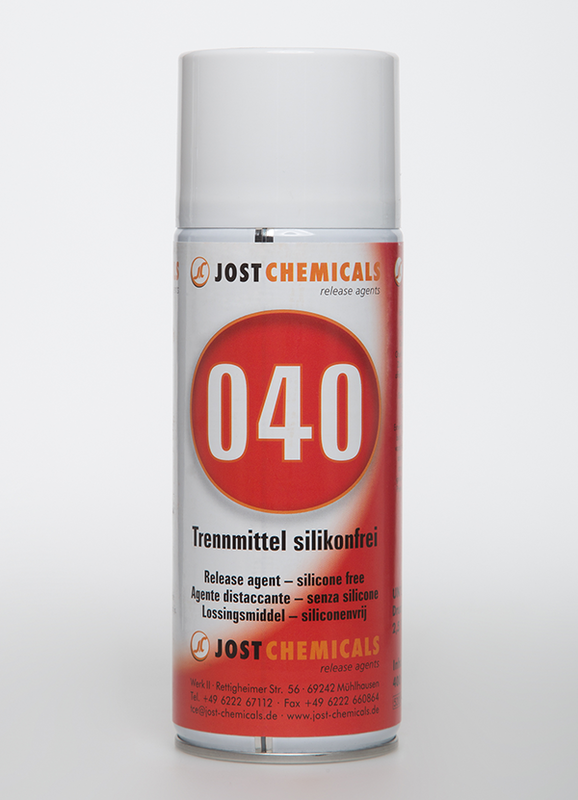 Temperature stable up to 400°C. Lösemittelfreies Trennmittel für PU-Elastomere (PU-Verguss), Epoxid-, Melamin-, Phenol- und Polyesterharze. 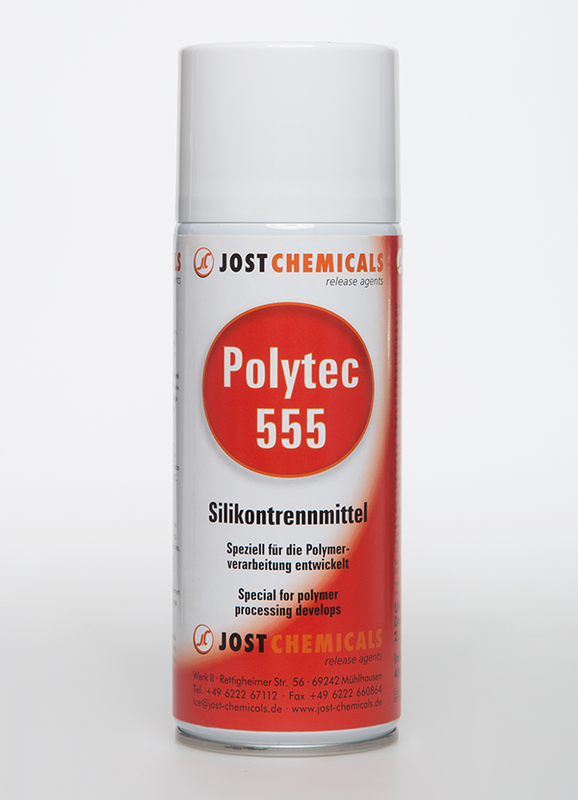 Solvent-free release agent for PU-Elastomers (PU-Die casting), Epoxy-, Melamine-, Phenol- and Polyesterresins. Teflon®-Spray. Trennmittel und Trockenschmierung. Bildet sehr dünnen und äußerst abriebfesten PTFE-Film. Temperaturstabil bis ca. 230°C. Teflon®-Spray. Release agent and dry lubrication. Builds a very thin outstanding resistant PTFE-layer. Temperature stable up to 230°C. 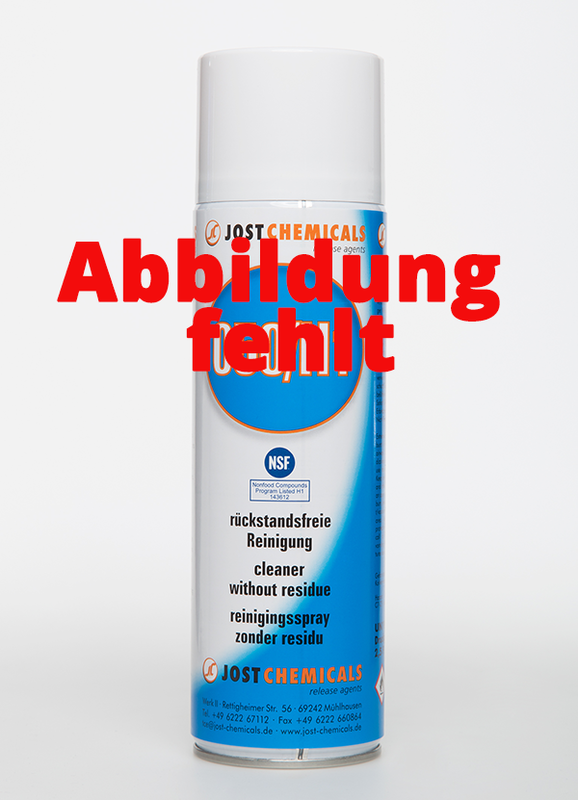 Silikonfreies Trennmittel mit Zulassung nach NSF-M1. Enthält keine Lösemittel. Bildet dünnen Trennfilm. Einsetzbar bis +150°C. Verwenbar bei PC, ABS, PMMA. 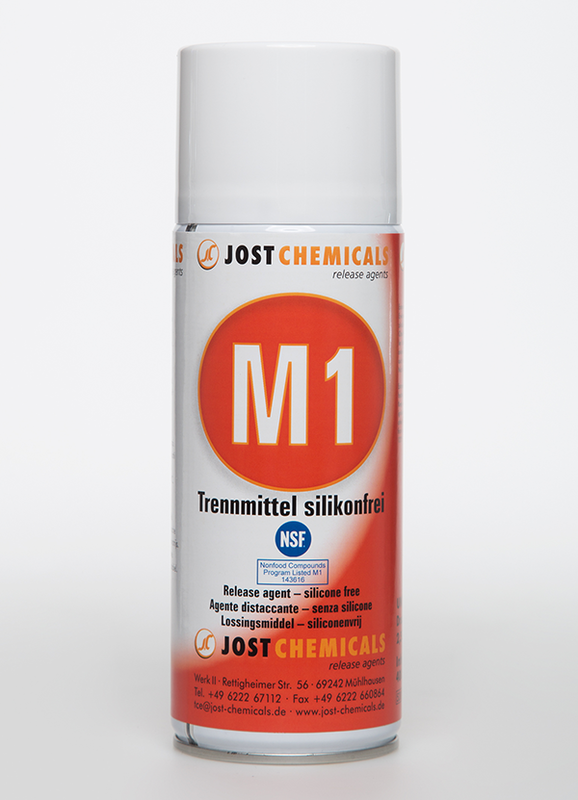 Silicone-free release agent with NSF-M1 approval. Contains no solvents. Forms a very thin release layer after application. Suitable up to 150°C. Suitable for PC, ABS, PMMA.